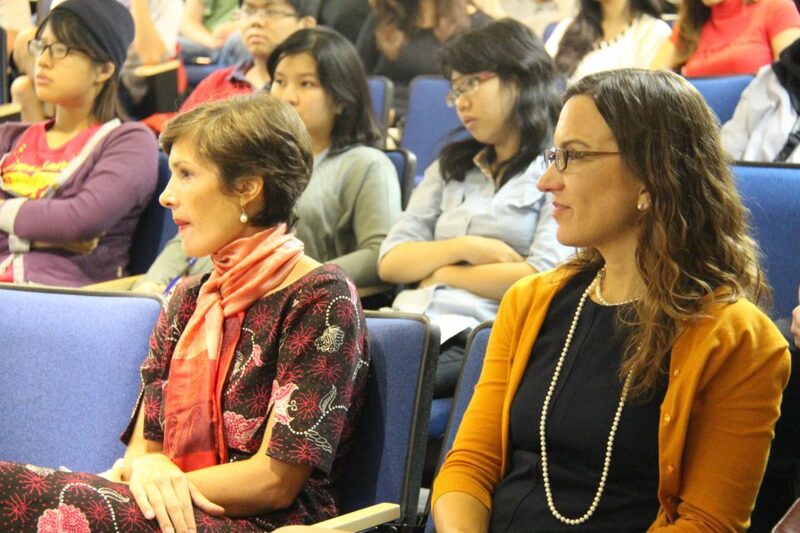 BINUS and Public Affairs Section of the U.S. Embassy Jakarta held a lecture discussion to BINUS students on Thursday, November 10th, 2016, at BINUS JWC Campus, Senayan, with the topic “U.S. 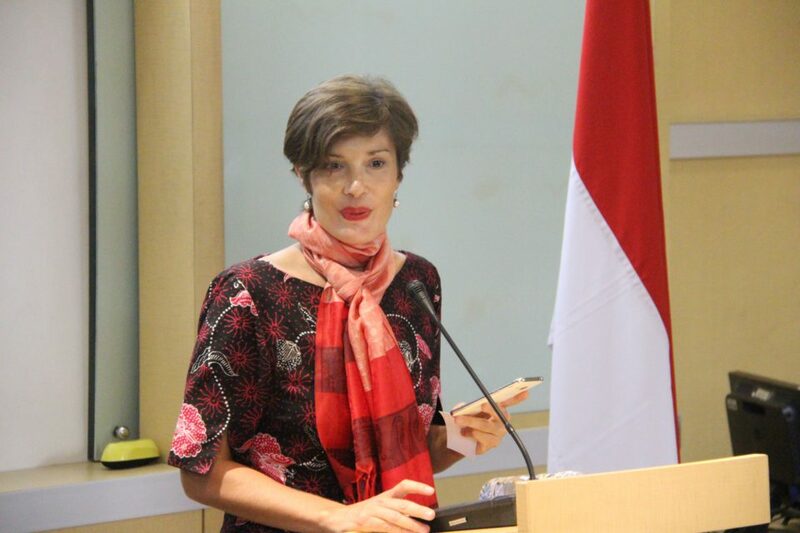 Engagement in the Region Especially the Broader ASEAN Region Related to Trade, Investment, Development, and Connectivity”. 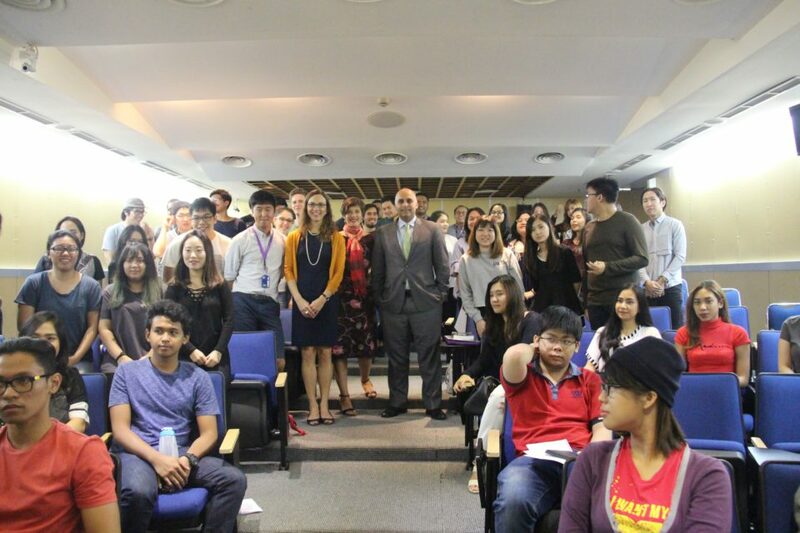 The guest lecture session was held as a routine activity for the academic programs. 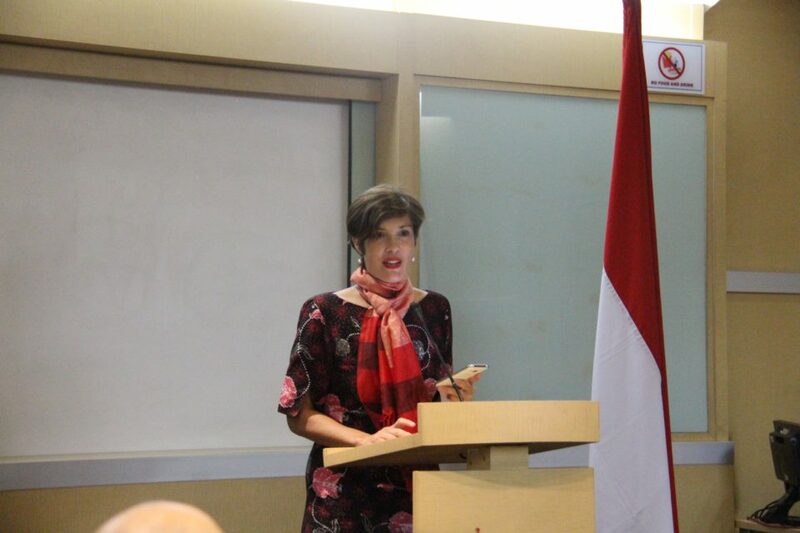 The guest lecture session was opened with a welcoming speech by Karen Imam, the Director of BINUS Global, who introduced the speaker, Ziad Haider, the Special Representative for Commercial and Business Affairs, Bureau of Economic and Business Affairs, the U.S. Department of State. 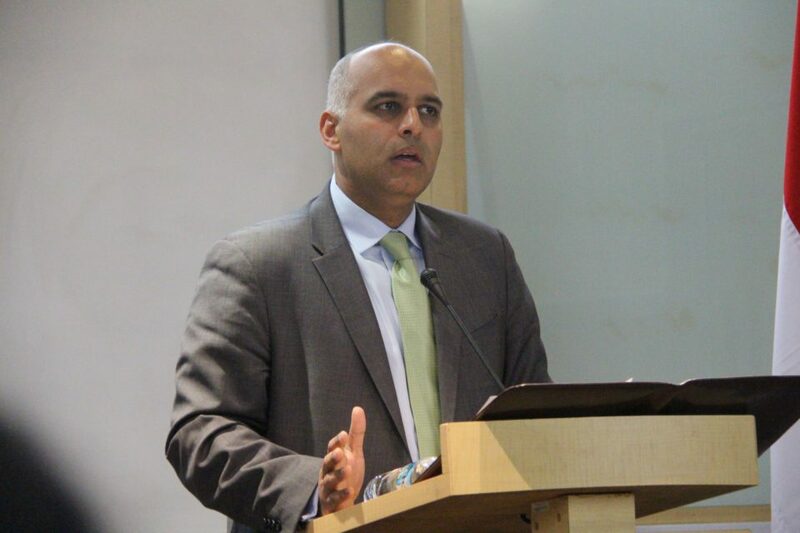 Ziad Haider leads the Office of Commercial and Business Affairs in the Bureau of Economic and Business Affairs in assisting and promoting U.S. business interests overseas; ensuring that private sector concerns are fully integrated into U.S. foreign and economic policy; and promoting global entrepreneurship and the protection of intellectual property rights. 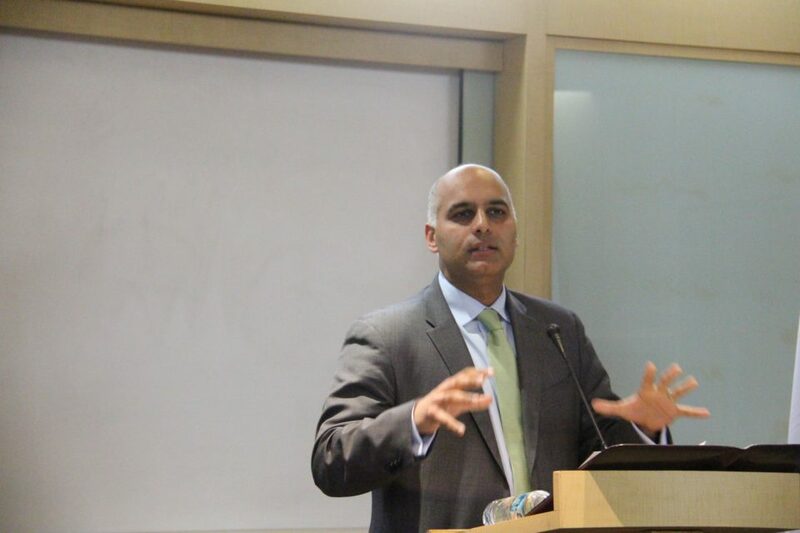 He previously served as a Senior Advisor for international economic affairs on the Policy Planning Staff in the Office of the U.S. Secretary of State; a White House Fellow in the Office of the Deputy Attorney General at the U.S. Department of Justice; and a Foreign Policy Legislative Aide in the U.S. Senate. 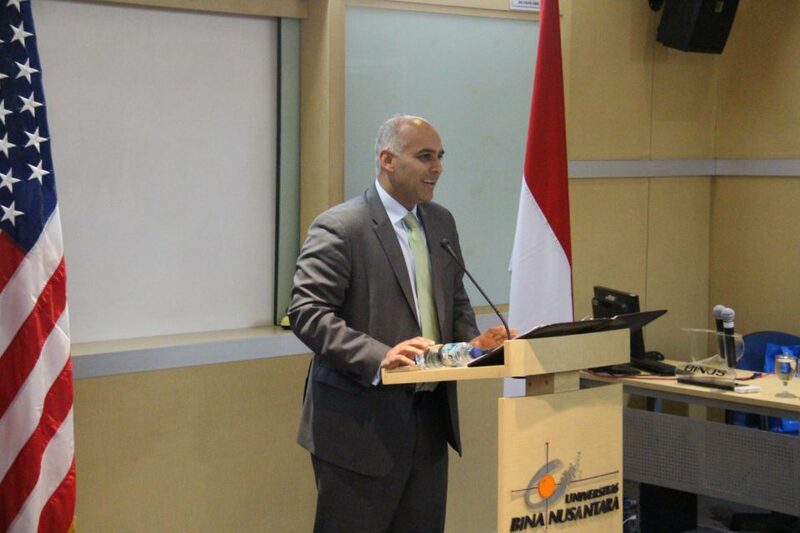 In his lecture, Ziad Haider explained that ASEAN is one of the most important regions for U.S. “ASEAN has been a central area of engagement, especially Indonesia,” he said. 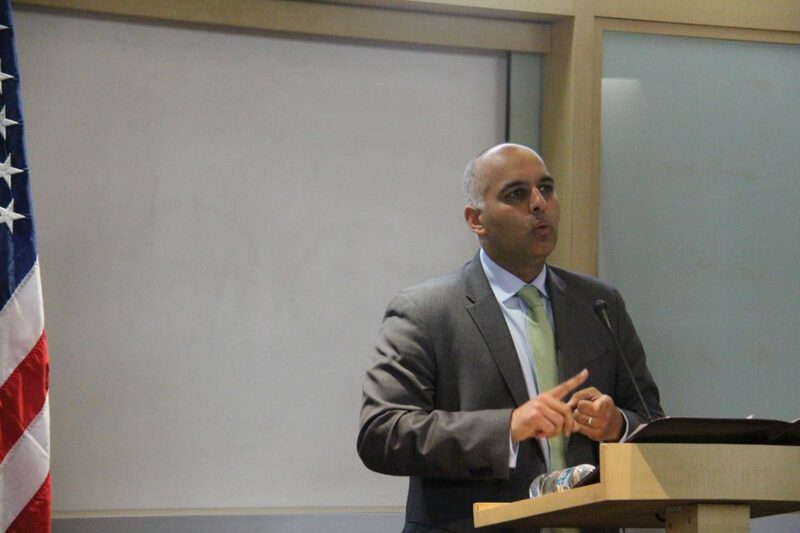 According to Ziad Haider, one of engagement that the U.S. continuously develops is investment. 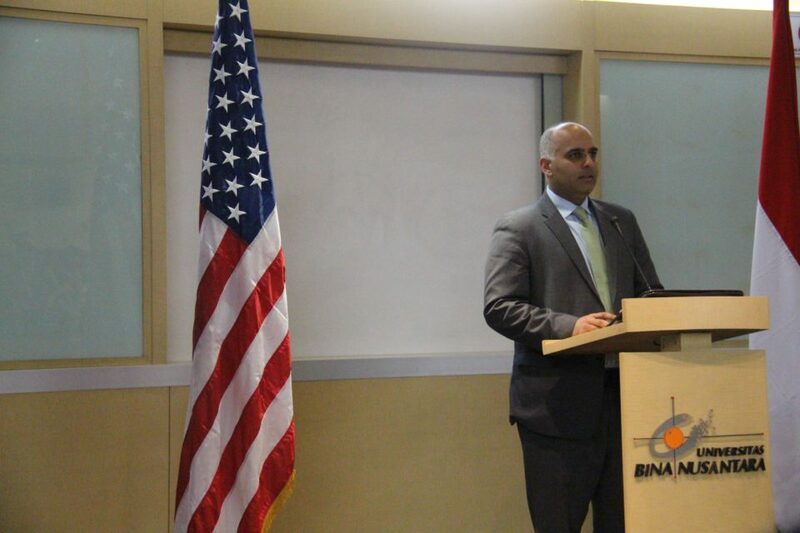 Ziad Hadier said that the U.S. is not only focusing on the quantity of investment, but also the quality. The focus on the increasing quality is shown by the U.S. investments that is also contribute to the locals – providing new jobs, community empowerment, value adding, etc. “We need to invest more in the community, invest more than just for profit,” Ziad Haider added. 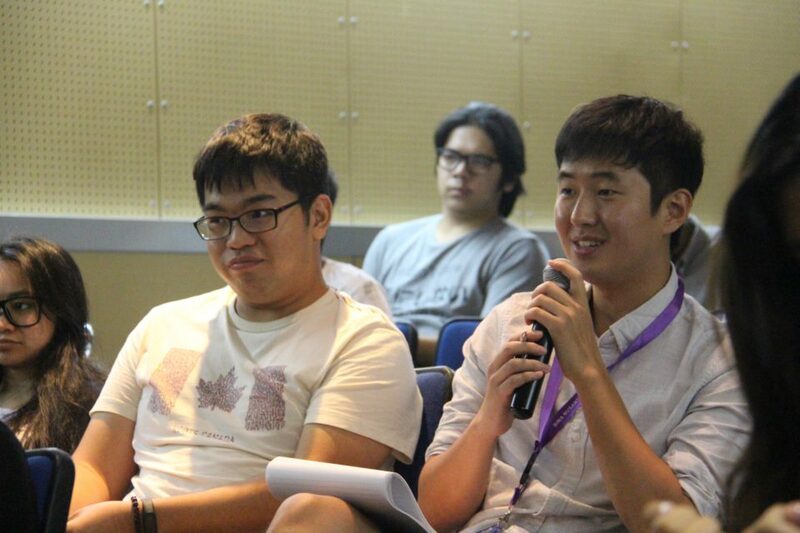 Another engagement that becomes a focus in ASEAN is connectivity. 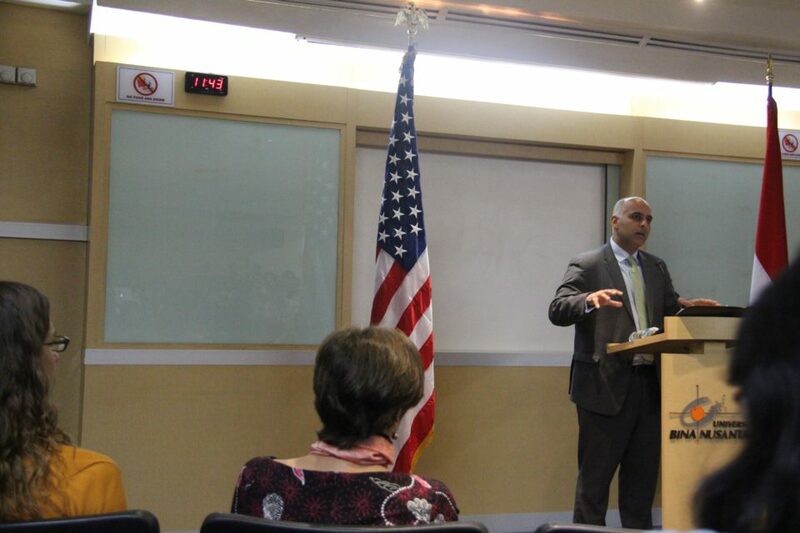 There are four points of U.S.-ASEAN connectivity – policy, business, energy, and innovation connectivity. 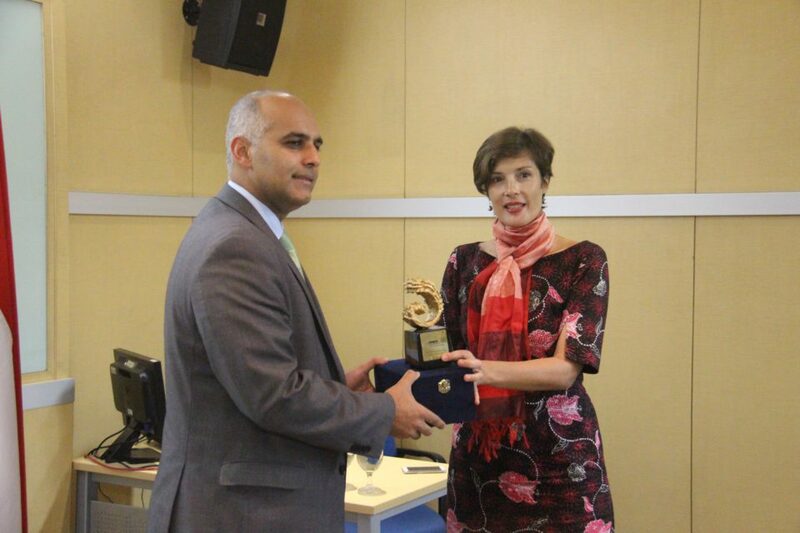 The U.S. supports these connectivities through several activities such as organizing conference about intellectual properties and the idea of e-commerce, developing SME academy, and commitment to promote the culture of innovation. 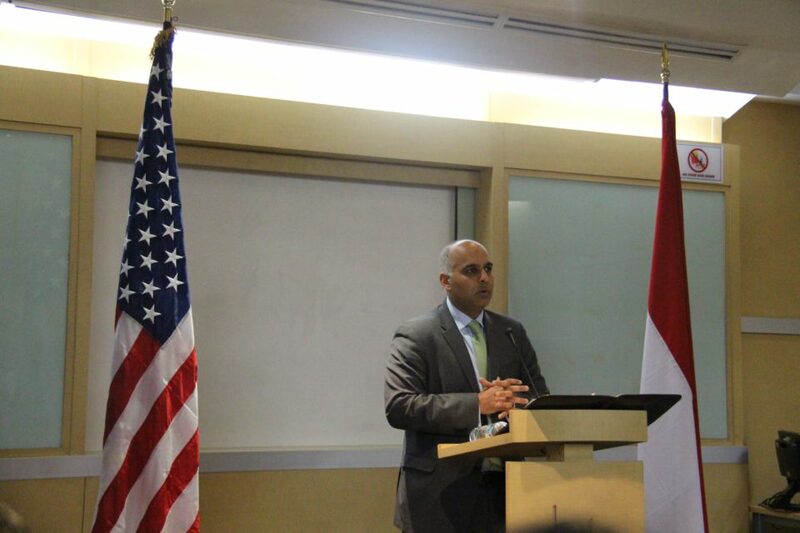 The impact of U.S. Presidential Election to the relationship with Indonesia was also been mentioned by Ziad Haider. 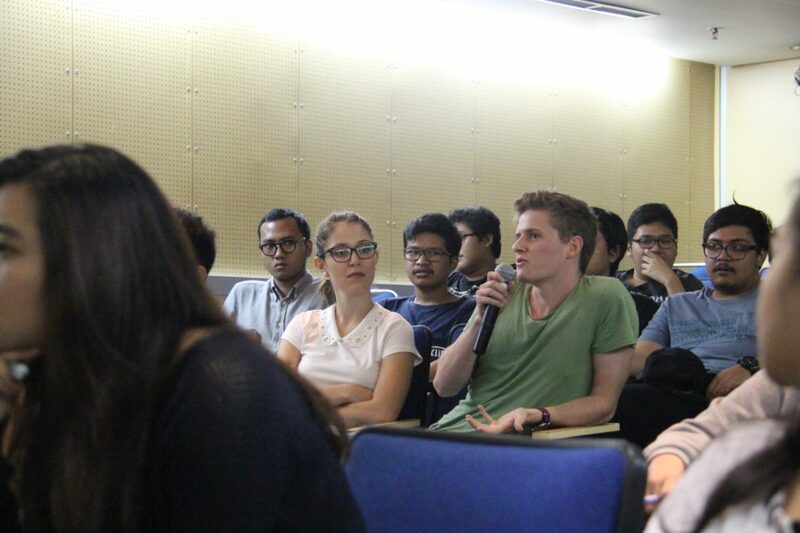 He explained that the relationship between the U.S. and Indonesia is not only about politics. 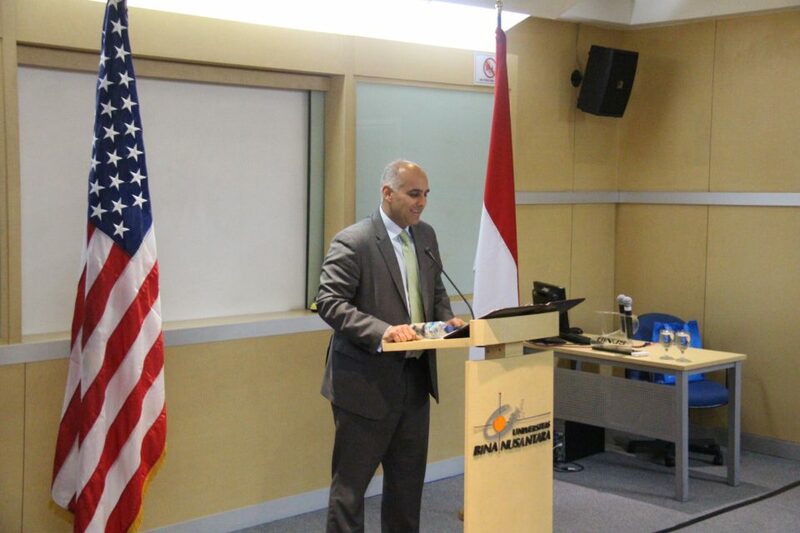 The U.S. government and companies want to continue the engagement with Indonesia. 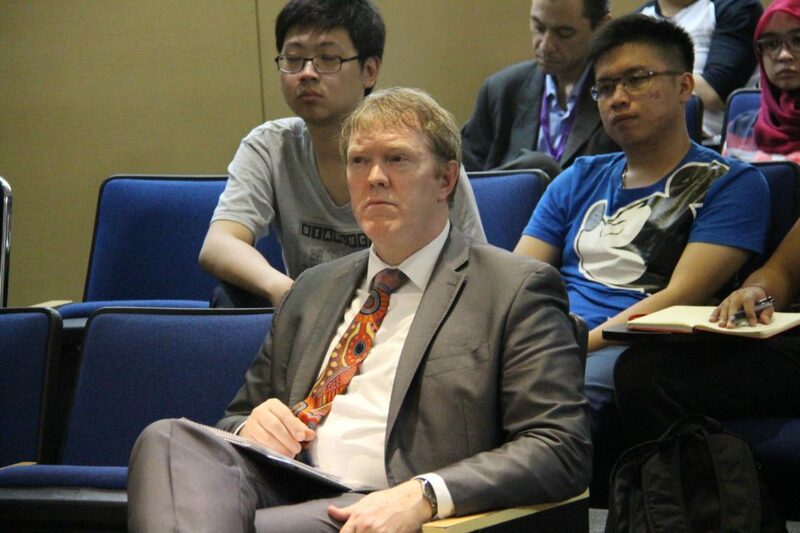 “We want to continue the momentum between the two countries,” he said.